These sushi specialties are served with Miso soup for our dine-in customers. Our focus is fresh, authentic sushi - not all you can eat. Little Tokyo's Maki sushi is made to order, using seasoned rice and typically wrapped with a thin piece of Nori seaweed. 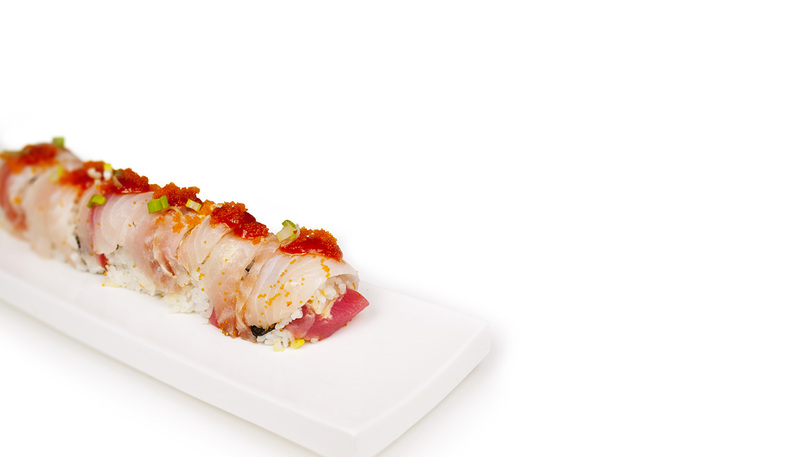 For something different, try Little Tokyo’s “House Special” rolls! Sashimi is for sushi lovers who prefer to savor the taste of fresh seafood. Two pieces per order. Our entrées are served with Miso soup (dine-in only) and rice. Udon noodles are large, round noodles made from wheat flour. Soba noodles are thinner and flatter, and made from buckwheat flour. All lunch menu items are served with clear soup (dine in only), fried rice, sweet carrots & mushrooms. Lunch is served Monday through Friday only. Enjoy a mix of sushi with our sushi sets. Ask your server about other sake selections. Gin, vodka, Bacardi rum, tequila, grenadine, lime juice and sweet & sour – a drink for two! Pearl cucumber vodka with your choice of mixer – or try as a martini!